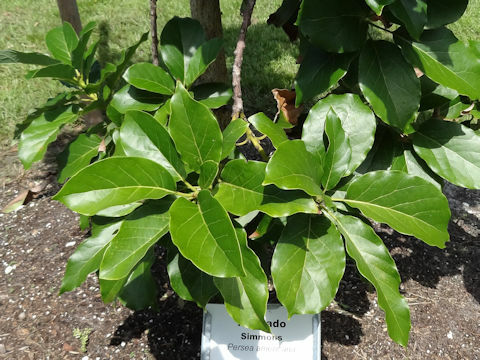 Avocado (Persea americana) belongs to the Lauraceae (the Laurel family). 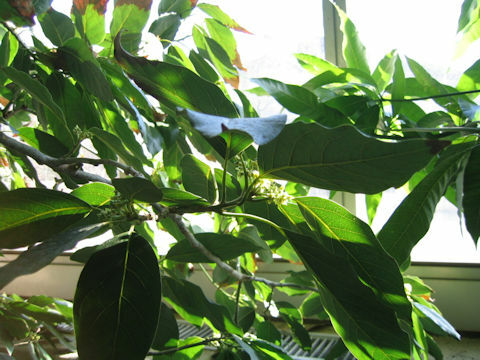 It is a tall evergreen tree that is distributed from the southern part of Mexico to northern part of South America. 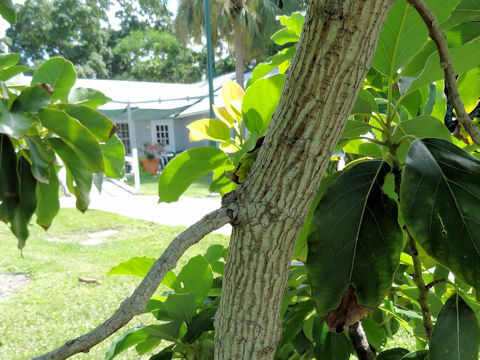 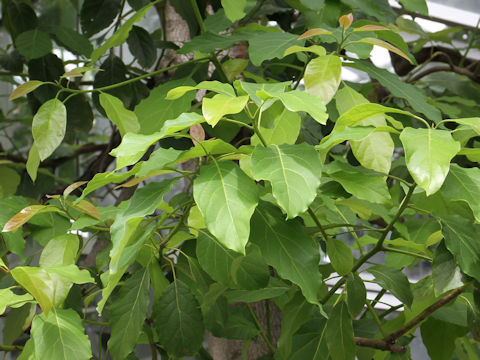 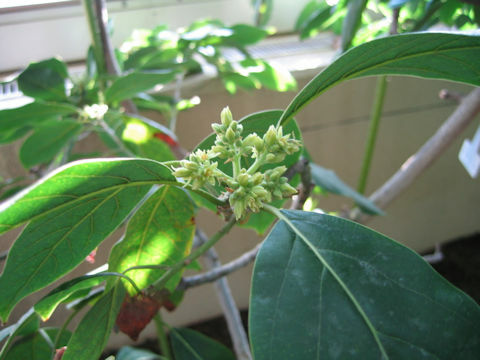 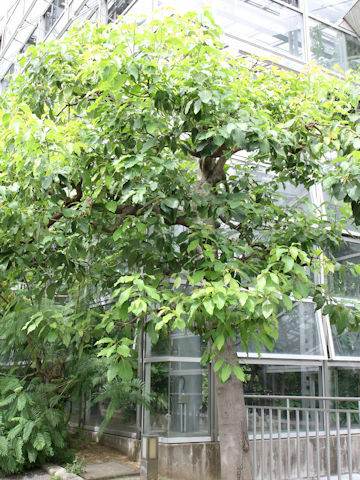 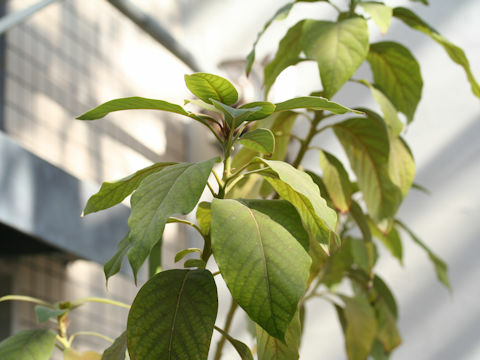 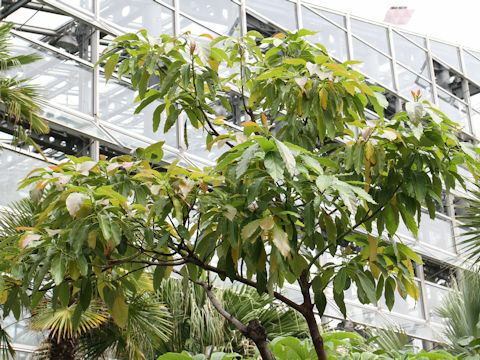 This tree grows up to a height of 6-25 m. The elliptical leaves are arranged alterante densely atop of the branches. 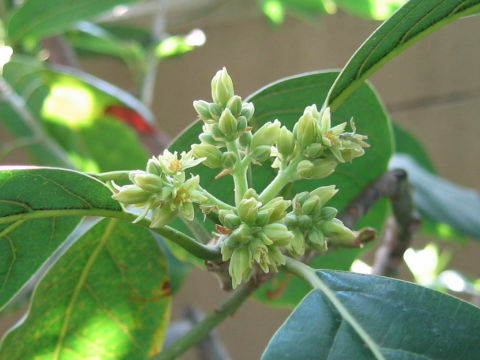 Pale yellowish green small flowers bloom in conical inflorescence. 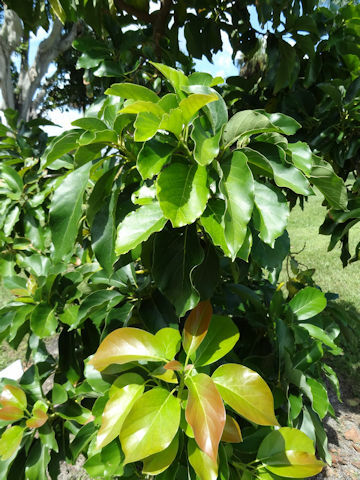 Fruit is pear-shaped, also called "Forest butter", it is edible. 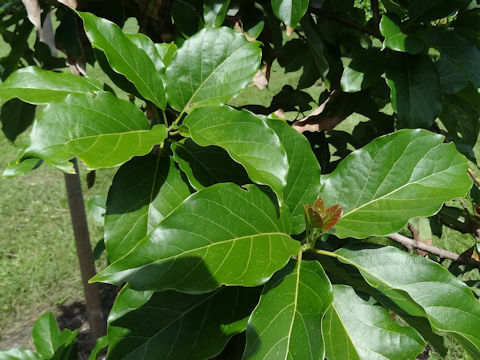 Another name is "Wani-nashi (Alligater pear)".